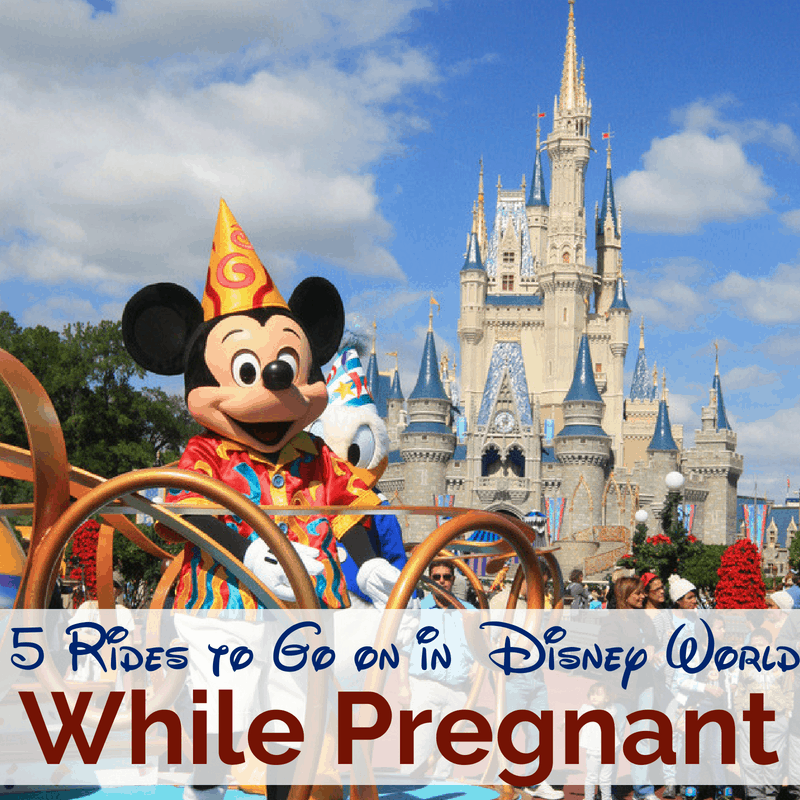 Here are 5 fun rides that you can still enjoy if you are pregnant at Disney World. There are a couple to stay away from, but can for sure be a great trip! We have been taking our kids to Disney World every year since our oldest was 1. We have had infants, toddlers, and elementary aged kids at Disney World at various different times. 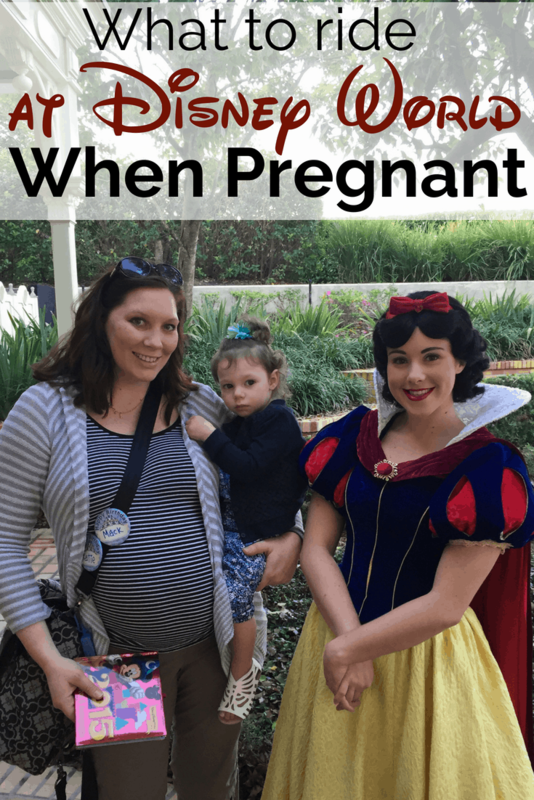 And yep, I’ve even done Disney World pregnant not once, but twice! While I was limited from riding some of the ‘big’ rides, I was still able to go on most of them with my kids, and even enjoyed the experience! 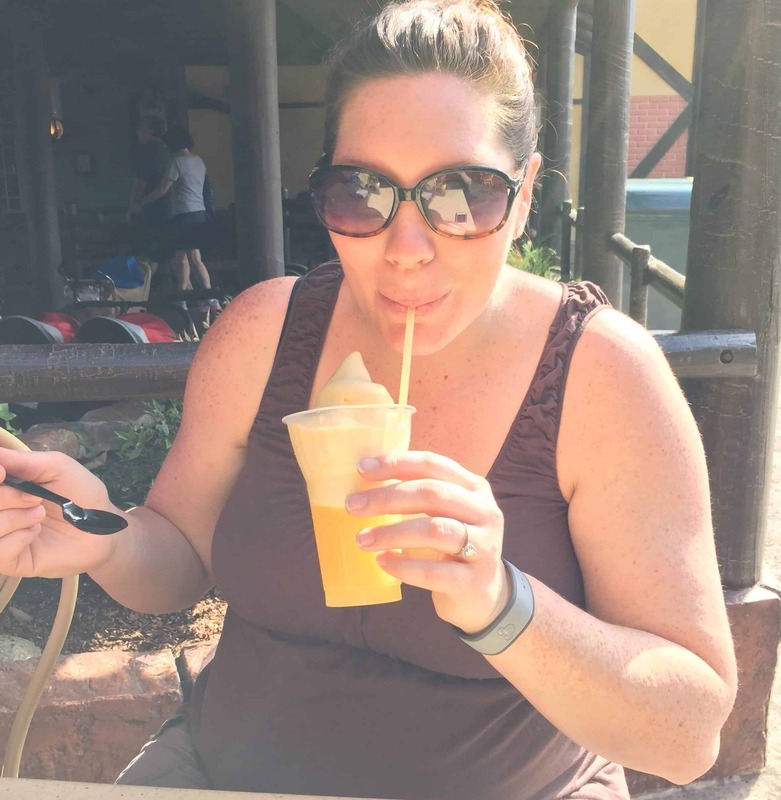 Visiting Disney World when you’re pregnant doesn’t mean you can’t have tons of fun. Yes, Disney recommends staying away from rides including Splash Mountain and Expedition Everest. But, you still have lots of options. 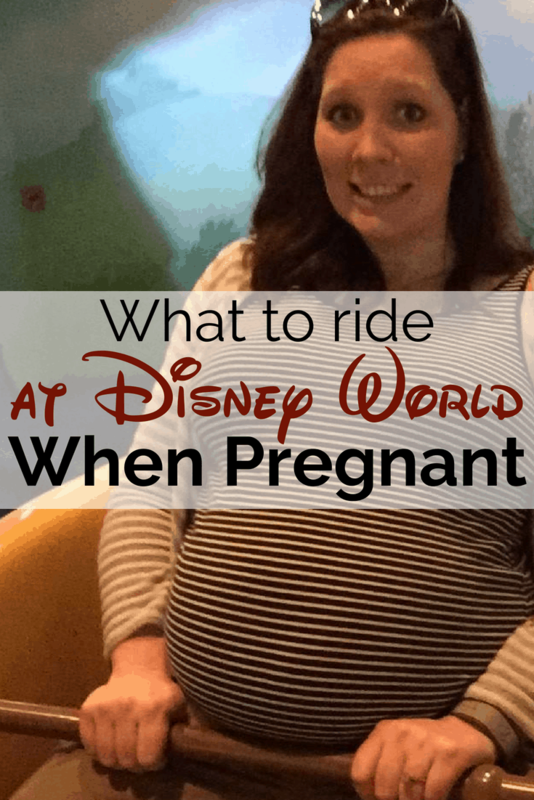 These are a few of the fun ones to consider if pregnant at Disney World. The Pirates of the Caribbean ride is a 9-minute cruise that takes you back to the time when pirates ruled the seas. Sail through catacombs, witness a burning seaside town and visit a dungeon. If you’re lucky, you may even get a glimpse of Capt. Jack Sparrow! If you’re a fan of the classic film, you’ll probably get a kick out of taking a journey on The Magic Carpets of Aladdin. You’re transported above a busy bazaar where almost anything can happen. Passengers sitting in the front row control the height of your carpet. Passengers in the back row can tip the backward or forward. Hang on! We even had a meet and greet with Jasmine and Aladdin here too – AND, you can get a Dole Whip right next to it! Dumbo the Flying Elephant is one of the most loved Disney World rides. And, you don’t have to be a kid to enjoy it! Listen to classic carnival organ music as you fly above the crowds. A lever allows you to control the gondola, moving it higher or lower to the ground. Bonus: they have a new play area inside the waiting area, which can be a nice respite from the Florida heat while pregnant! Are you ready to go on a wild adventure? If so, you don’t want to miss this 18-minute journey through the Harambe Wildlife Reserve. Riding in an open-air vehicle, you get the opportunity to see and learn about 34 different exotic animals who call Africa their home. 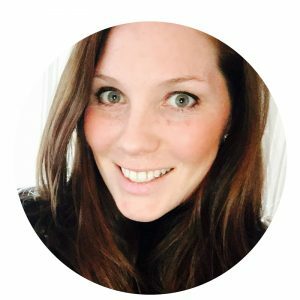 Hippos and giraffes and cheetahs… oh my! Ask yourself, “what’s a trip to Disney World without riding a classic carousel?” Whether you choose one of 90 beautiful horses or the single chariot, this ride will take you back to your childhood in seconds flat. It’s complete with organ music, carved flowers and a cool breeze that blows back your hair, as you go up and down and around and around. These are just a few rides expectant moms safely enjoy if pregnant at Disney World. Remember, there are many wonderful attractions and shows to appreciate as well. Epcot is especially suitable for those who aren’t interested in rides. Just don’t forget to pack your most comfortable shoes!